I love Alice Waters‘ book, Edible Schoolyard: A Universal Idea . Worth noting (below) are the principles of Edible Education that she lays out in the book. According to author Richard Louv, the greatest increase in childhood obesity in our history has occurred in the same two decades that the greatest increase in organized sports for children in our history. Chemicals are toxic and abound everywhere. People apply pesticides and herbicides often without thinking about the consequences. The purpose of your organic edible schoolyard garden is to connect students with both nature and their food supply. It is also a place for thoughtful contemplation for the students. Commit to using natural means to control pests. Looking for some extra money to finance your schoolyard garden project? Try to unearth a grant to pay for your expenses. Begin your search at KidsGardening.org or the National Gardening Association. 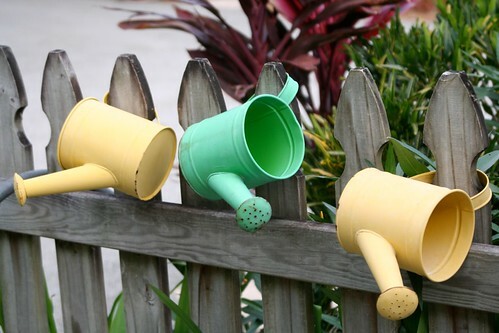 Both maintain a database of current grants available for schoolyard garden projects.